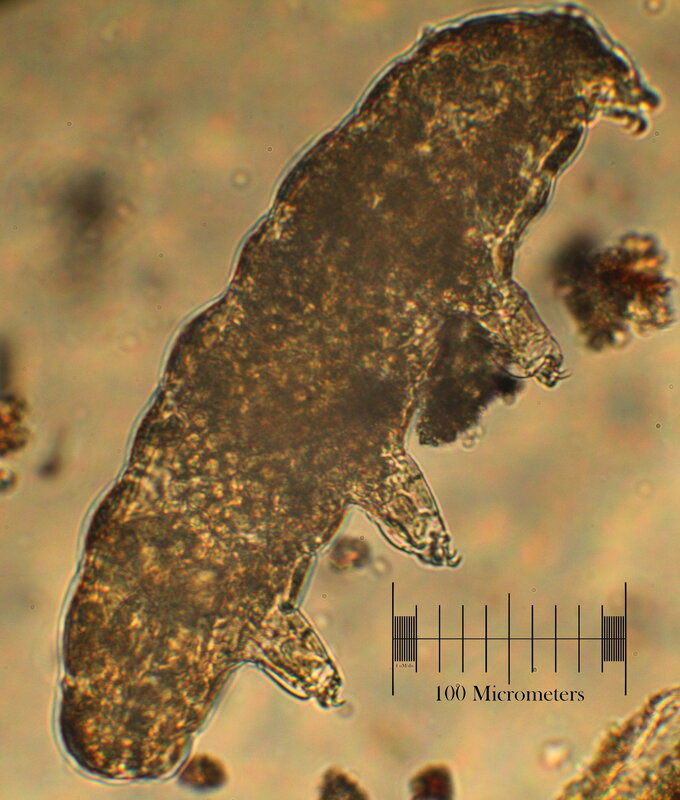 The Tardigrade is a tiny animal found in the moss on the north side of trees all over the world. It can also sometimes be found in ponds and soil This one I caught by collecting some moss from the side of a tree outside my house. I put the moss into a jar and filled it with water. After a few hours, I squeezed the moss against the side of the jar so the tardigrades would fall to the bottom. I then used a pipette to collect a drop of water from the bottom of the jar, and found this little fellow.